Series six kicks off in a typically confrontational way as Ted (Patrick O’Connell) clashes with Merroney over Brian’s future. Will Brian be welcomed back onto the board? Ted wants a fair deal for his brother and – possibly surprisingly – Merroney concurs. But the reason he gives is sure to put Ted’s back up. “Because of the three of you, he’s the only true professional”. Colin Baker still looks as if he’s enjoying himself enormously as Merroney continues to call the tune, forcing the others to dance to it. His relationship with Brian (Richard Easton) has always been complex. He values Brian’s business acumen and knows that Brian likes him personally (which has helped create a bond between them) but it’s also plain that Merroney would drop him like a stone if he proved to be unreliable. Somewhat Godot like, Brian has an influence over events even when he’s not on screen. The series opener, Red Sky At Night, begins with the others awaiting his return. But when he’s not on Don Stacey’s charter-flight there’s concern all round. Where is he? Is his absence further evidence of his unreliability? When Brian (still sporting the impressive moustache he grew last year) does reappear, it’s telling that it’s Merroney he goes to see. 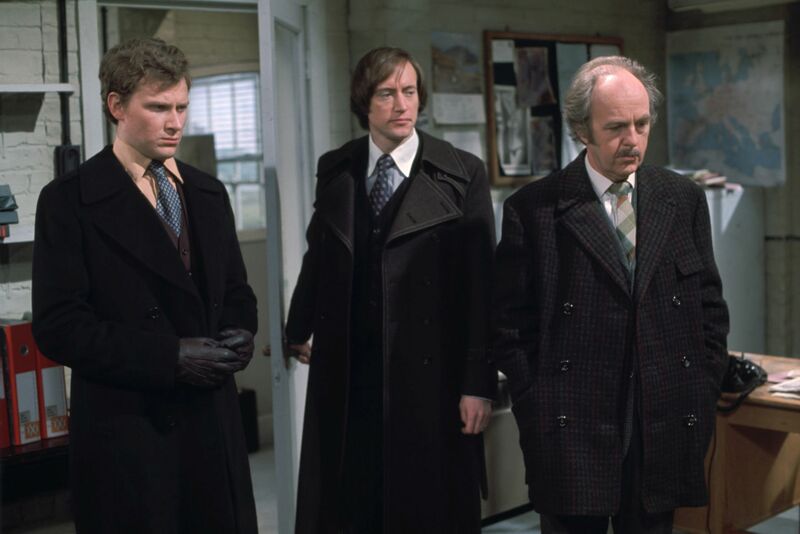 Although both David (Robin Chadwick) and Ted have fought for their brother’s interests in their own ways, Brian clearly feels more comfortable with somebody outside of the family. 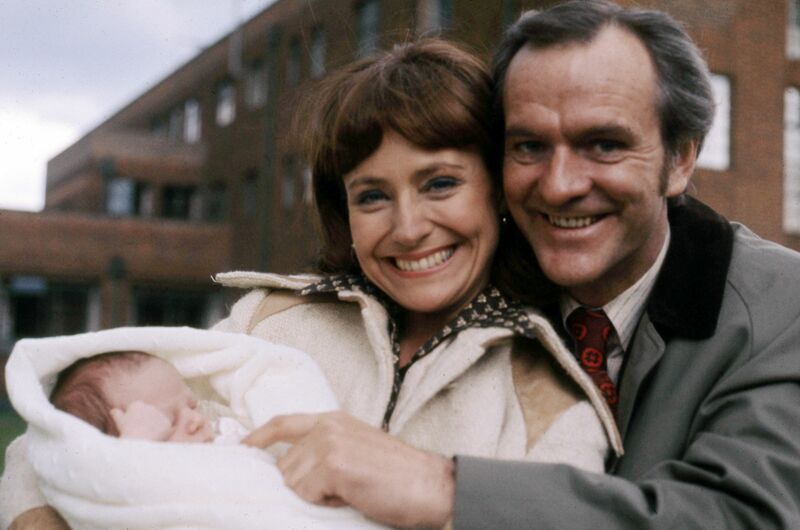 Brian’s gradual reintegration back into the business is a running theme during these early episodes as is the question of Jenny (Jennifer Wilson) and Ted’s adopted baby, William. When the baby’s real mother decides she wants him back, Jenny starts to feel the strain. One has to wonder why Jenny and Ted didn’t legally adopt the child (William was abandoned by her mother six months earlier but she now feels more confident that she can look after him). Our sympathy should be with Jenny, but there’s something more than a little off-putting about her manic determination to hang onto William whatever it takes. Jennifer Wilson plays these scenes well and since her character’s usually so level-headed and sensible it’s an interesting change to see her put under pressure for once. Jenny is happy to cast William’s natural mother, Pat Hawkins (Elaine Donnelly), in a poor light, but that’s not the impression most will get when they hear her story. “Look, I’m just a girl from the local estate, okay? And I got a baby. And I couldn’t explain to my mum and dad why I wanted to keep him. So I did the only thing I could do and I gave him away”. One might raise an eyebrow at the revelation that Pat’s husband, Alan (Ian Marter), works for Hammonds. Something of a remarkable coincidence it must be said, but this does allow Ted to be pushed over the edge a little further (like Jennifer Wilson, Patrick O’Connell seems to relish these dramatic scenes). Plus it’s always a pleasure to see the late Ian Marter, even in a small role like this. Carleton Hobbs makes a welcome reappearance as Sir Neville Henniswode (Hobbs had appeared in series four but was presumably unavailable for series five, which led to Llewellyn Rees taking over the role). Hobbs had a decent film and television career but for me – and I’m sure for many others – he’ll forever be the definitive radio Sherlock Holmes. Just to hear the timbre of his voice is enough to conjure up images of foggy streets and Hansom Cabs …. 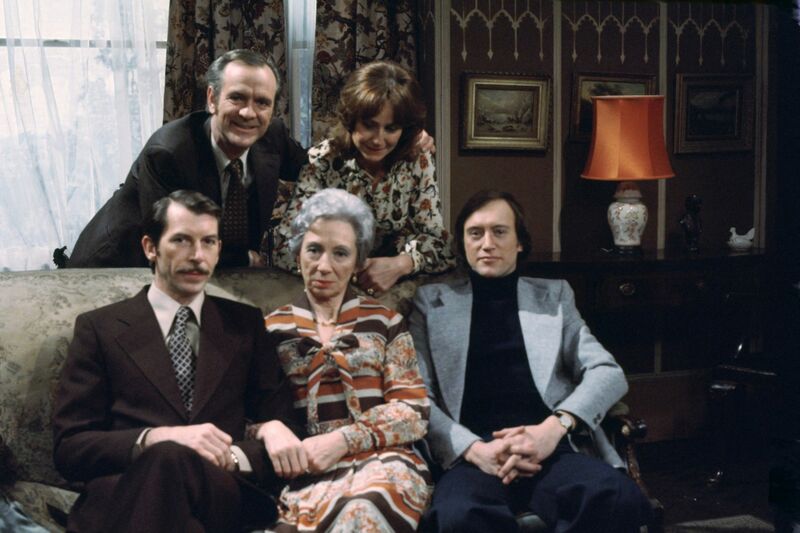 One of the more unlikely developing plotlines concerns the relationship between Sir Neville and Mary Hammond (Jean Anderson), the imposing matriarch of the family. At least this enables Mary to get out of the house every so often and therefore makes a nice change from her usual scenes (which tend to consist of her chivvying one or more of her sons). Since both David and Brian are currently living with her at the family home, she’s got ample opportunity to fuss around them. The first half of series six sees the Hammonds struggling to balance their work/private lives. Brian is still finding his way back to fitness slowly, David has never been terribly business minded anyway, whilst Ted and Jenny are more concerned with the fallout from William’s departure than they are with Hammond Transport. This leaves Merroney in a strong position, although Bill Riley (Derek Benfield) for one isn’t prepared to roll over for him. Bill’s rise through the ranks has been an entertaining running thread over the last few series. Initially he was a little diffident at board meetings – due to his elevation from the shop floor – but by this point he’s more then happy to speak his mind. He’s matched in the common-sense stakes by his wife Gwen (Margaret Ashcroft). Whilst the majority of the characters in The Brothers are middle-class or higher, the Rileys are resolutely working-class and proud of it. It would be easy for them to be portrayed in a patronising light, but this doesn’t happen – meaning that there’s something charming in the way they enjoy the simple pleasures of life (an evening game of Scrabble, for instance). But they’ve not immune to pressure and Bill’s increasing workload will be seen to have a negative effect on their marriage. Merroney’s private secretary Clare Miller (Carole Mowlam) still finds that her loyalty is divided between Merroney and David. With neither man in a regular relationship, both are content to use her as a dinner companion and confidant. Although Clare is a character designed to react to others rather than instigate her own plotlines, Mowlam still manages to give Clare a spiky sense of humour, ensuring she’s more than the cardboard character she otherwise could have been. During S5, Merroney seemed mainly to exist in order to thwart the Hammonds at every turn. But throughout this run of episodes he’s more nuanced – whereas previously he was totally dedicated to Sir Neville and the bank, now he confesses that he’s beginning to side with the Hammonds over certain matters. Although on other occasions he’s quite prepared to steam-roller right through them, if he can …. Brian also shows some unexpected facets to his personality (since his breakdown he’s become a more relaxed and far-thinking person). At one point he expresses his new personal philosophy. “You’ve got to feel that what you’re doing is really worth doing. Nobody makes money except the Mint. All the rest of us do is push it around a bit, trying to make sure that we get a little more than the next man. But it’s not wealth. Wealth is enriching. Making money is just debilitating. In the end it leads to a sense of personal isolation”. When David finds himself rejected by Clare in episode eight – The Chosen Victim – it serves as something of a wake-up call for him. All his life he’s been able to get whatever he wanted (until Clare). Will this make him a more rounded and less arrogant character? It’ll be interesting to see if his growth continues next series. Paul Merroney and Jane Maxwell (Kate O’Mara) fractious relationship shows no sign of abating. At one point she tells him he’s “one of the lowest forms of life I’ve ever come across”. But when you learn that Merroney was castigating Jane’s ex-husband, the hard-drinking pilot Don Stacey (Mike Pratt) at the time, it’s easy to understand the reason for her anger. Don bows out of the series in the sixth episode, Tender (broadcast just a few months before Pratt’s death at the age of 45). Pratt’s gaunt appearance gave the running plotline of Don’s impending medical exam a bitter irony. “Sooner or later they’ll find something that creaks or groans or doesn’t react fast enough and that’s it. You can keep as fit as you like, but Anno Domini gets you in the end”. Don didn’t do a great deal (although his leaving scene was a powerful one) but he was always an amusing character and Pratt, even though he was clearly ailing, always played him with an agreeable twinkle in his eye. As series six moves towards its conclusion, several familiar faces pop up. 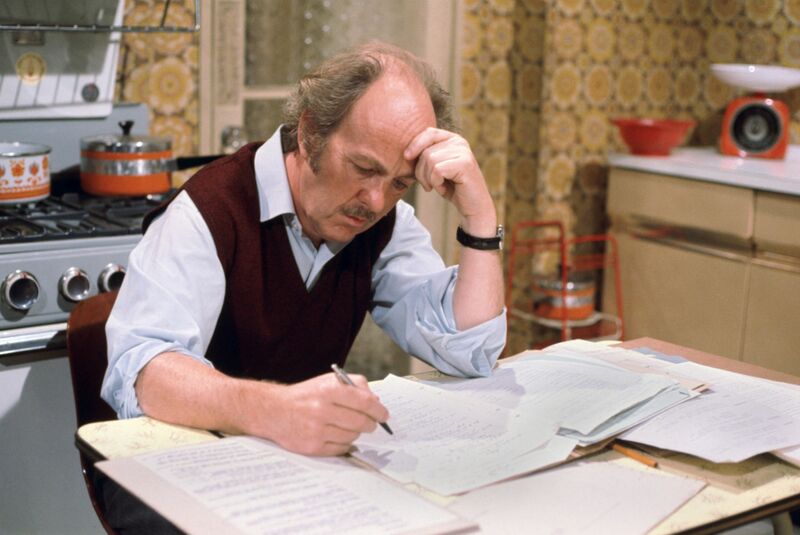 Clive Swift plays the shifty Trevelyan whilst Joby Blanshard (best known as the plain-speaking Colin Bradley from Doomwatch) appears as Van der Merwe. After being somewhat subdued in the early episodes, Ted roars back into life (few sights are more impressive than that of Patrick O’Connell in full flight) whilst Brian and Jane seem to be forming something of an alliance, both personally and professionally. But Brian’s wounded psyche (he has a fear of being touched) might be a problem. Richard Easton, as so often throughout all six series, impresses here. The sight of April Winter (Liza Goddard) who briefly appears in the penultimate installment – The Bonus – signifies that change is on the way for Merroney. His offhand comment that she’s his fiancee is a real leftfield jolt – although April’s been mentioned on several occassions (which has prepared the ground for her arrival) it’s hard to imagine the coldly efficient Merroney ever being in love. Clare is crushed by the news. Bill later tells Gwen that “the torch that girl carries for him makes the Statue of Liberty look like a candle”. Hammond Transport has undergone substantial changes over the last few years, morphing from a wholly-owned family concern into a company with strong ties to the bank (where Sir Neville and Merroney reign). But it’s the proposed takeover bid from Kirkmans which threatens to split the Hammond family down the middle. Some, like David, would be happy to sell their shares for a handsome profit whilst Ted (and especially Mary) are resolutely opposed to the deal. When Merroney goes AWOL (he’s in Amsterdam, meeting with Van der Merwe) the others (especially Ted) are concerned that he’s plotting behind their back. His adventures in Amsterdam are great fun, adding a touch of out-of-season glamour to the series. The sight of his discomforted face as Van der Merwe’s daughter whisks him round Amsterdam at great speed in an open-top jeep is worth the price of admission alone. The series finale – Birthday – might be partly concerned with Mary’s birthday celebrations but business matters are also on her mind. The takeover from Kirkmans may have foundered but a merger with Van der Merwe’s company is still very much on. But Mary, frustrated at being out of the loop, begins to flex her muscles. As with previous years, the final episode finishes on a strong hook which will lead in nicely to the start of the next series. The Brothers remains a very moreish and ridiculously entertaining series. Richard Easton and Colin Baker especially impress, but there’s no weak links here. Four decades on it’s still easy to see why the show built up such a large and devoted fanbase (not only in the UK but in many other countries as well). Sharply defined and well-acted characters, placed in perpetual conflict with each other was a key part to its success and the passing of time has done nothing to dull this winning format. 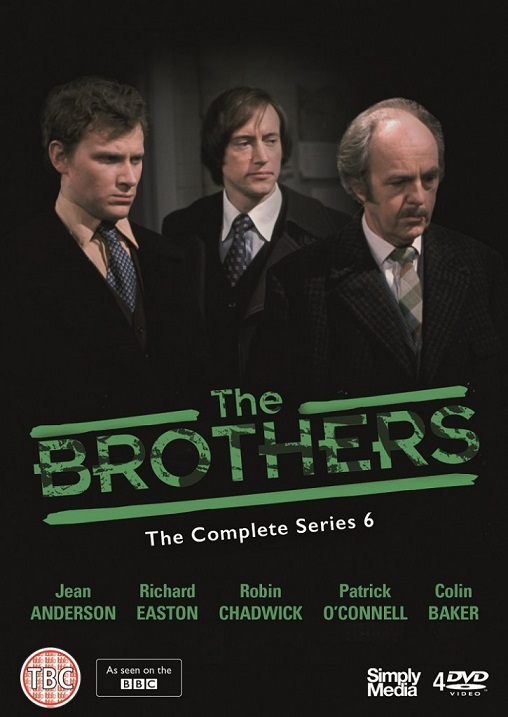 The Brothers – Series Six is released on the 12th of June 2017 by Simply Media and contains thirteen 50 minute episodes across four discs. RRP £29.99.